Eric Hernandez is a local filmmaker, currently working as a Producer, Director, Writer, Cinematographer, Drone Operator and Editor for Rocky Mountain PBS. His passion for storytelling began when he was nine-years-old and continues to grow. Since then, Eric has written/directed a variety of short films, documentaries, music videos, and commercial content. 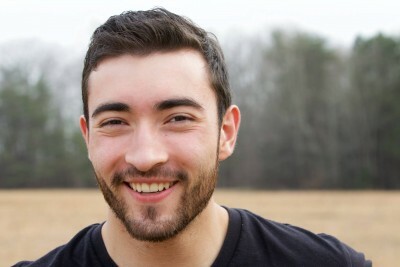 After graduating from Elon University with a BFA in Cinema & Television Arts, Eric was selected as one of three people across the nation to Write & Direct a commercial for Coca-Cola & Regal Cinemas as a part of their Coca-Cola Regal Films Challenge. Since then, Eric has had a lead role in producing Colorado Experience; an Emmy-Award Winning documentary series dedicated to preserving and celebrating Colorado History. The stories we tell, and the films we make have the power to educate, inform and inspire. They are representations of who we are, and the larger questions we strive to answer. They can be shared with the world, and, they are lots of fun to make! But most importantly, they bring people together. So, let's make something!